The fabulous K.O. 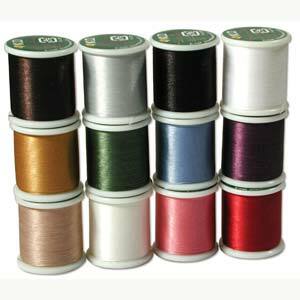 beading threads were designed by a Japanese master beader specifically for beadwork. The quality is wonderful. I experimented with a spool of this thread as I am always curious. Within a few minutes, I decided to stock it here at Enchanting Beads. I’m delighted with 17 colors with which to play!